This template was submitted by Sergey Timinsky. 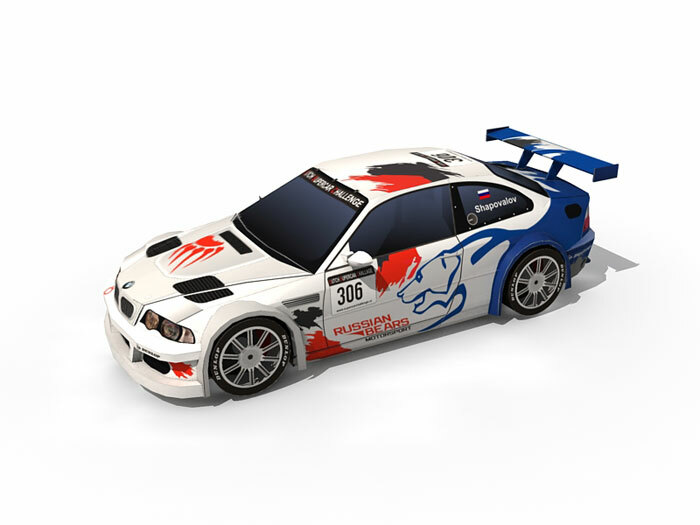 He share with us a re-painted version of car model BMW M3 GTR. He choose a Russian Bears Motorsport (RBM) paint scheme when it competing for the first time in The Dutch Supercar Challenge 2007. RBM is a racing team based in Russia. Originally RBM used BMW 320i in the first race in Circuit Park Zandvoort, Netherlands. Sergey also made 1:24 scale of this template which you can find it after 1:16 scale template pages. You can use assembly instructions from the BMW M3 GTR.